The Luce style allows the customer bring versatility to their design; adding a surface mounted handle choice can alter the look of a kitchen completely. Design, size and placement or handles can create an added design feature within door and drawer configurations. not having to touch the door. Combining strong, masculine tones with soft feminine tones such as Metallic Anthracite Grey with Metallic Blue create a bold statement. The combination of blue, grey and stainless steel work well together. 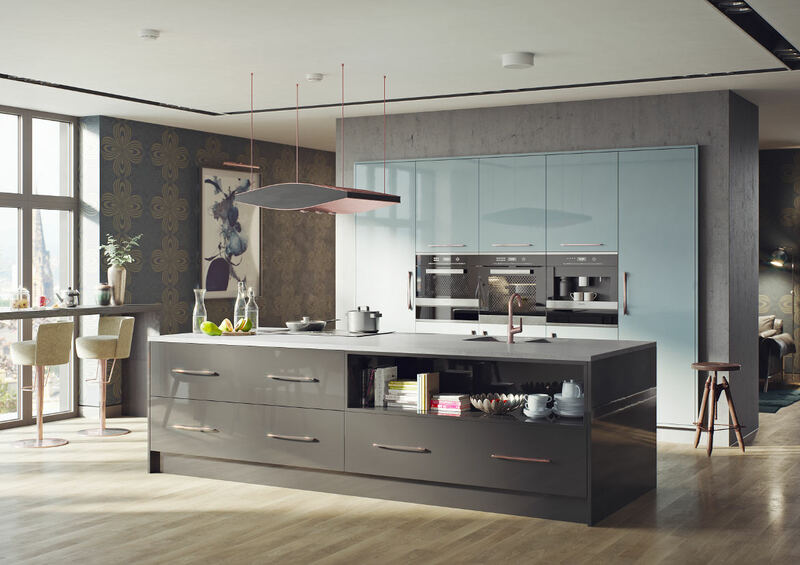 The design and placement of the handles on this Luce style brings it to the next level. 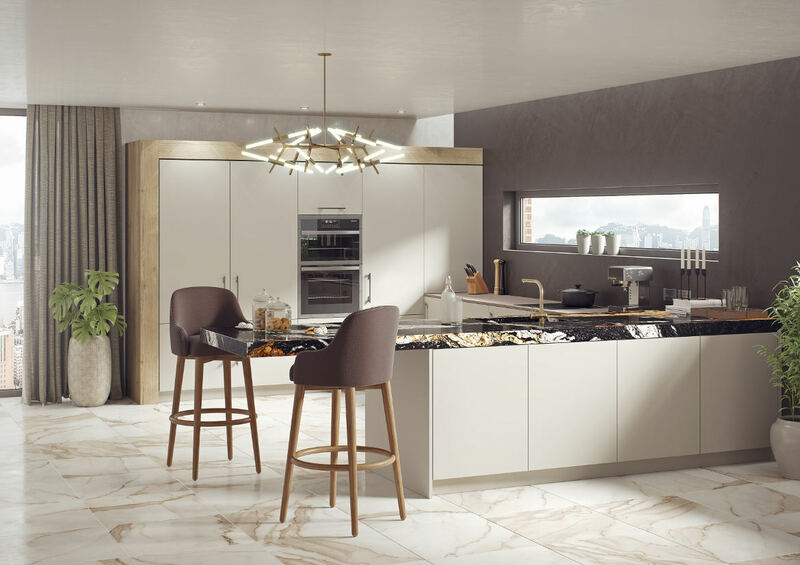 Fingerprint free Mussell Matt combined with a chunky surround of Halifax Natural Oak - this compact kitchen packs a punch with dual oven, integrated fridge and larder with cantilevered seating space.